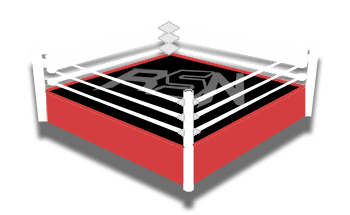 Vince Russo’s The Brand Recap – WWE’s Inability to Change, Why RAW Should be 1 Hour, Would NXT Beat RAW in Ratings? More! He understands that it’s a business and USA Network has to make money, but he’s sure a one-hour program will draw more viewers. He points out that cutting it from 3 hours to 2 hours won’t change anything because WWE can’t write 3 hours of programming and they can’t write 2 hours either. It needs to be a one hour show in order for things to change. Out of a 3-hour RAW, Russo suspects there’s 42 minutes of important programming – important matches and segments that they need to get on the show. The rest is just filler and that’s when they lose people, and he thinks WWE needs to cut this filler programming. Russo informs that he’s been watching NXT lately, and that show is bearable because it’s only an hour. Even though there’s not enough storytelling or vignettes for his liking, he’s able to sit through a wrestling-heavy show because it’s only an hour in length. If WWE were to put NXT’s product on USA Network right now for an hour followed by a 2-hour RAW, he thinks the one hour of NXT would nearly match the 2-hour RAW in terms of ratings. Vito agrees, noting that if NXT added a few more vignettes and storylines, NXT would be able to sustain itself as a stand-alone program on USA Network.